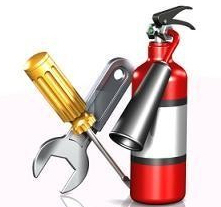 With safety products such as fire extinguishers, regular maintenance is essential. British Standard Code of Practice BS 5306: Part 3 recommends that your fire extinguishers be serviced at least annually to ensure that they will always function in an emergency. The range of extinguishers we supply will provide many years of reliable fire protection only if properly maintained and serviced regularly by a competent person. Our service engineers have gained a certificate of competence from the industry’s own association, the Fire Extinguishing Trades Association (FETA). We are dedicated in providing a quality service, they are able to offer advice and training for protecting your premises.